To make sure you get the best deal we'll show you great prices from all of our drivers, including Charles Removals, if they're available on the day of your move. 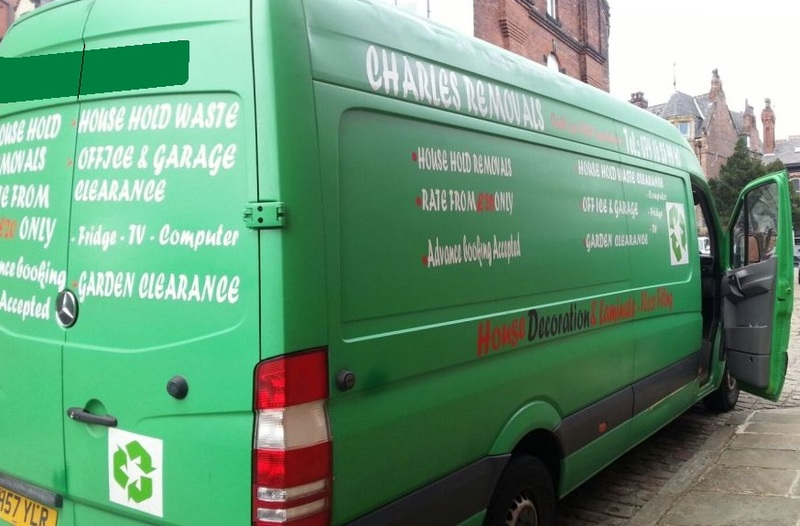 Have a question for Charles Removals? No problem, send them a message and they'll email you back as soon as possible. If you have a more general question you might find it answered in the FAQ, or you always contact one of our brilliant customer service team. * Charles Removals won't be able to see your email address. We provide a wide range of high quality House and Commercial Clearance Services including Removals, offering competitive prices. Full house moves/ Student moves / office moves / Part moves/ Extra men available for bigger jobs. We deliver a professional and friendly customer service ,looking after Our Customers and everything were dealing with. We care about you and everything we are carrying .. He was 30 minutes late but he did warn me beforehand (and in any event, we needed the extra time!). He was very helpful and polite and we were done and dusted in short order. Thanks for the help. After the move I have found that several items have been damaged. The driver did not tell me about this. I found for example the part he had accidentally ripped off a wooden box just out inside the box. One of my shelves actually had his footprints on it. He also lost parts of one of my shelves during the move which I now have to replace. With regards to the client's complaint, I would like to explain exactly what happened. 1. I am really surprised that the lady said that we were not respectful. I would like to state that I kept (as always) the good character to the customer service ethics. 2. Before we started the job we found that there were already a lot of things that were damaged. We brought them to the customer's attention before loading them. For example, a small wooden table was damaged; the bases of 2 beds were damaged and one of the legs of the wardrobe came off etc. After the second trip when we finished loading the van, the customer paid us, then we went to the new house where the son was waiting for us. We did everything they asked us to do without any complaint. We have no idea what the customer is talking about concerning shelves. There was no single item that was missing to the best of our knowledge. Therefore, we were really surprised about this complaint because we have done the job with professionalism. Charles was fantastic! Would highly recommend his service. Thank you for a stress free move. Hi could you the driver if I have left my house keys in his cab? Apart from being 30 minutes late (I had to call and chase him) - everything went very smoothly and well within the timeframe paid for. The driver was over 1 hour 20 mins late, we booked him for 2.5 hours as we had another appointment later in the afternoon. We also selected the ‘we require help from the driver’ option, and that there were two flights of stairs, he refused to get out the van and help. We then said since he hadn’t helped, was very late and that our items only took up 1/3 of the van that we shouldn’t have to pay the full amount. He was then very rude to us and refused. It’s a shame as the guys we used previously from that company weren’t very nice and helpful. He was so helpful and friendly. Made our move much easier and despite my accident of not booking a driver to help, he did his best helping us carry boxes and heavy items back and forth. Amazing service. Very friendly and helpful. Would definitely use his service again. This driver carries straps and blankets as standard, however, this was a 'no help required booking' so optional if the customer required to use them, or not. The driver was very helpful and repectfull, if I needed a van again I would not hesitate to ask for him again or reckamend him to my friends and family, thank you I think this is a brilliant service. We are sorry that the driver was delayed by traffic, but as this booking was made in the weekday rush hour, it is not always possible to avoid traffic delays. From booking till drop off was an all round very helpful professional service. Quick and efficient. Thank you. Very friendly and helpful. The driver dismantled a slide quite quickly for us which was kind of him. Well done and thank you.